From 1st May, educators from universities, colleges and schools around the world will have the opportunity to learn how best to incorporate educational technologies into their teaching. The Bloomsbury Learning Environment (BLE) has co-designed the course Get Interactive: Practical Teaching with Technology, which will be delivered as a Massive Open Online Course (MOOC) through Coursera. The course is a practical, hands-on introduction to teaching with technology, providing the opportunity to explore a range of tools and technology that support and engage students with dynamic and interactive learning experiences. · The course will look at a variety of media that can be used to engage and excite students. These include creating images, videos and screencasts, and embedding Twitter feeds. · During this week, participants will explore how to encourage students to work together and actively participate in their learning. · In the final week of the course, participants will consider their experiences in the course and how they might adapt and develop their own practice. 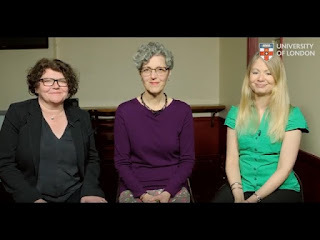 · The Bloomsbury Learning Environment (BLE) is a shared e-learning service for six Higher Education institutions in central London, all of which are members of the University of London. The BLE is committed to innovating learning and teaching by sharing good practice in Technology Enhanced Learning and e-learning. It supports its partners by providing cost efficiencies, which are achieved by negotiating with software suppliers and sharing economies of scale. The BLE aims to work collaboratively, developing new and exciting ways of teaching and learning that would otherwise be difficult for the partners to achieve alone (the whole being greater than the sum of its parts).